The experienced Minnesota employment law attorneys at Trepanier MacGillis Battina P.A. are highly qualified to assist employers, employees, and independent contractors in disputes over unpaid wages and commissions. For employees, including highly compensated executives and salespersons, TMB can help prepare effective demand letters seeking recovery of unpaid wages, commissions, bonuses, and overtime pay. 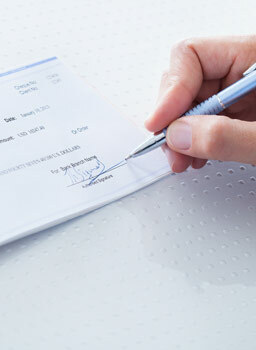 If payment is not received, we can also represent you in the courts. Our business lawyers routinely represent professionals and executives in matters involving employment contracts and executive compensation. Our experience in the boardroom and in the courtroom puts us in a strong position to recover the money you are owed. For employers, TMB can evaluate, analyze, and defend unpaid wages and commissions claims, and help implement proactive polices to minimize the risk of future claims. Services in this area include performing wage and hour audits, drafting bonus and commission plans, and defending corporations against unfounded claims for unpaid wages. Given the high stakes involved in unpaid wage cases, effective legal counsel is essential.